Running with the Elk Breakfast @ 6 a.m. 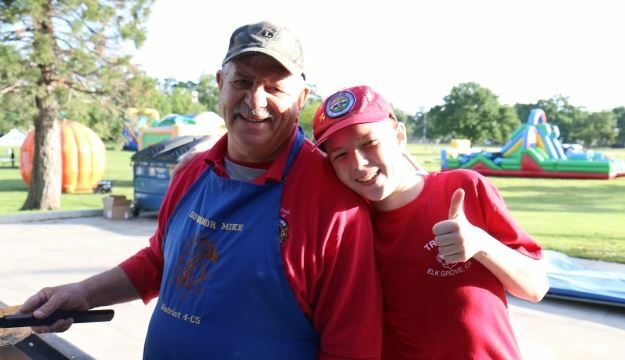 The Pride of Laguna Creek Lions Club will be cooking pancakes for the CSD Breakfast with the Bunny event. There are three seatings so be sure to sign up for one of them. 8:00 am, 8:45 am and 9:30 am. It will be at the Elk Grove Park Pavilion on Elk Grove Blvd. Start the day with a hearty pancake Breakfast with the Easter Bunny hosted by the Pride of Laguna Creek Lions Club. Don’t forget to bring your camera! Each child will have the opportunity to visit with the Bunny. PLCLC Club Meeting @ 6:30 p.m. This entry was posted by LagunaCreekLions. Bookmark the permalink.